We always conduct a Site and Risk Assessment before events to make sure everything goes off without a hitch. During the assessment, we became aware of a potential issue with the venue. The venue had motorised blinds which would provide 90% light blockage. The blinds were operated by a single button remote control. The venue had a large, glass frontage which let the majority of exterior light into the room. This meant there was too much light in the room for projected presentations to be clear and visible. When we arrived the day before for set up, we noticed that the motorised blinds were not working and were in the fully retracted position. The venue operator assured the con-sol team that they would drape the windows with motorised black-out blinds to resolve the excessive light issue. After a demonstration of their effectiveness, we were confident they would solve the issue. The project moved forward. When we arrived at the venue one day before the event, we were surprised to discover that the blinds weren’t operational due to an electrical problem. This meant we couldn’t lower the blinds enough to sufficiently block out daylight. Con-sol immediately got to work, utilising the full extent of our resources and industry contacts to solve the problem. We hired drapes, but they wouldn’t extend to the height of the windows, so their effectiveness was marginal. An additional projector would effectively provide a brighter image. 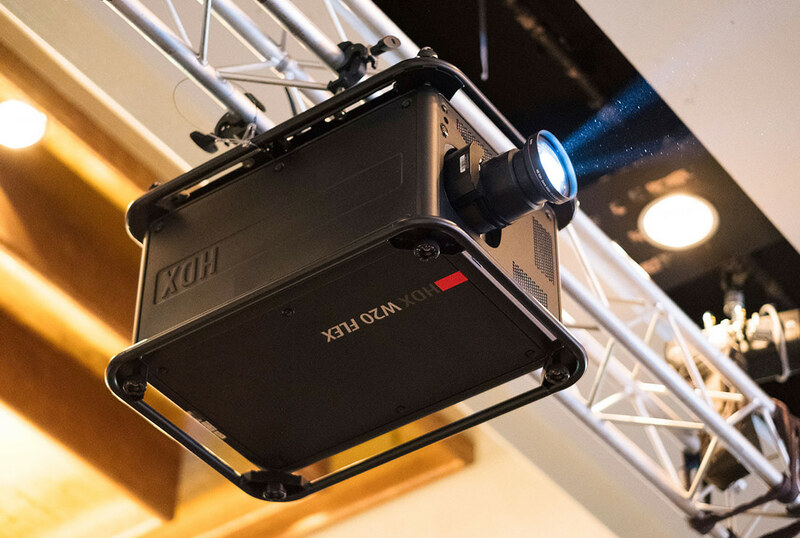 We first tried to source an additional projector from local suppliers, but it was cost prohibitive. We didn’t stop there, however. We secured another projector from our Gold Coast warehouse and had a con-sol staff member board a flight to personally deliver the project to Sydney. He arrived at 9pm, delivered the equipment to our crew member who was waiting at the airport, and got on the next plane home. Going the extra mile for our clients isn’t just a platitude. In fact, in this case, we went the extra 514 miles (that’s 828km!). Our client was over the moon the next morning, relieved to see a bright, crisp image on the screen. The conference continued smoothly and according to plan, with guests none the wiser of earlier challenges. The only additional cost to the client was a return airfare ticket from the Gold Coast to Sydney.